This is a round flange Philips Autoradio porcelain sign. This particular Philips Autoradio sign is very colorful. 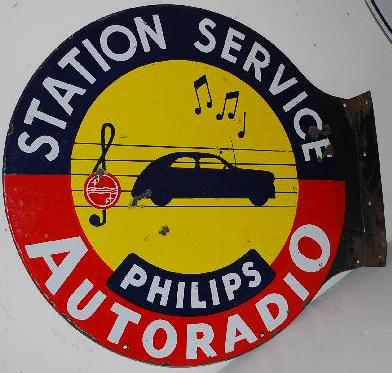 It reads, “Philips Autoradio Station Service” and features a blue car with music notes against a yellow circle with a red and blue border.